Jay Leno hasn't been a regular on TV since his stint on The Tonight Show ended earlier this year. But he has been online, talking cars on Jay Leno's Garage. And now it sounds like he's coming back to TV with a brand new show all about cars. 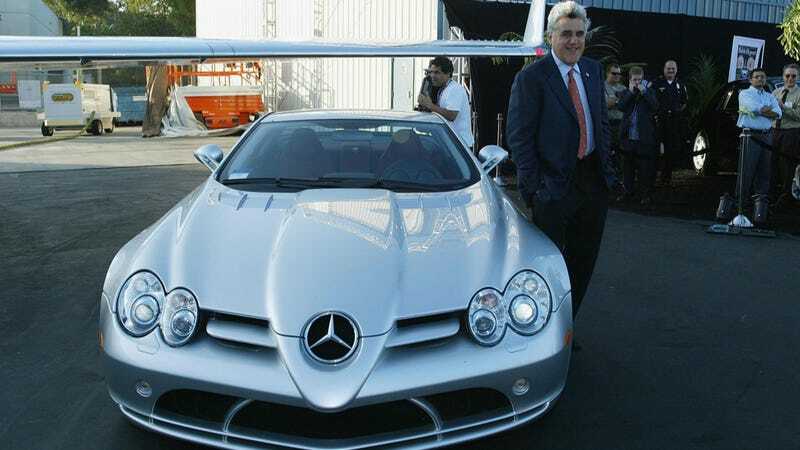 According to The Hollywood Reporter, Leno is in negotiations with CNBC for the new primetime series, and it would be primarily about Leno's love of cars. There is no timeframe for when the show could debut or how many episodes it would encompass, though it is expected to be a regular series. It's not clear if the show would be the Jay Leno's Garage web series converted to TV or a whole new program entirely, but what is for sure is that it'll be good to have a certified gearhead in charge of the show. We'll have to wait and see just how good the show can be.